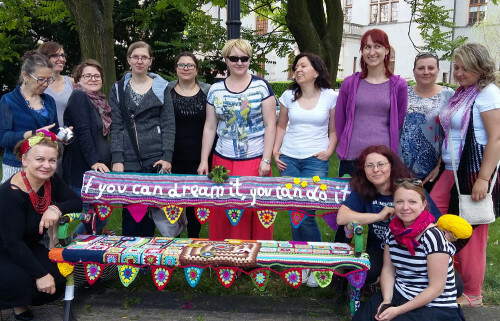 Były rowery, dzieci i bańki mydlane, było ciasto mojej Mamy, soki w butelkach i kocyki z granny square. 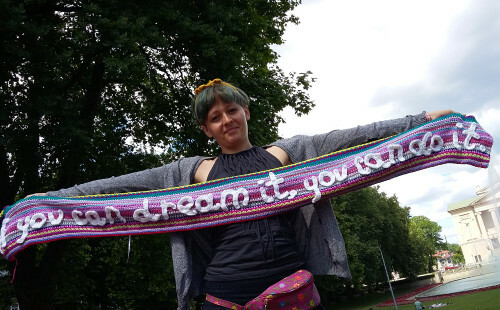 Some time ago I wrote about World Wide Knit in Public Day ghere in Poznań. Oh, it was great time! We gathered together in city park. 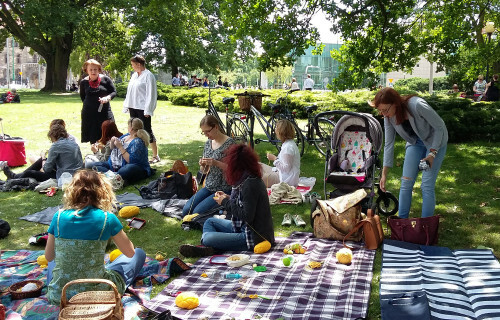 There was crocheting and knitting, there was yarn swapping (I get a turquoise one! 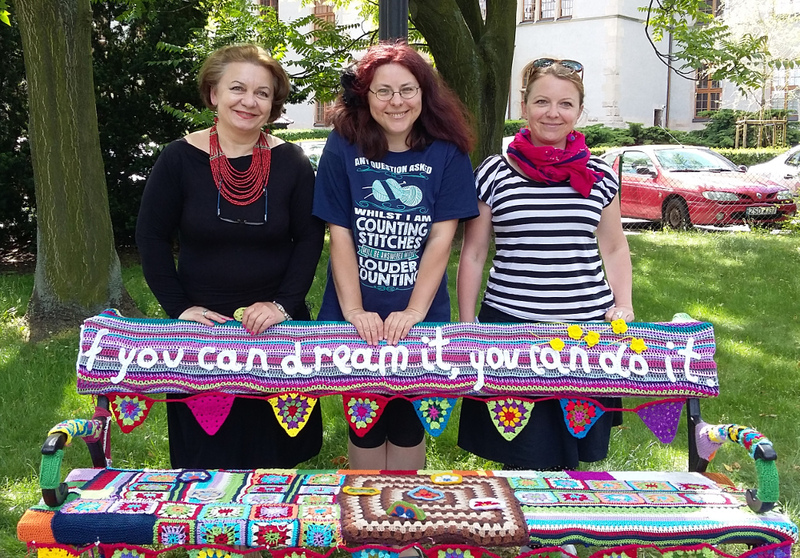 )and there was flower making for Dobra Kawiarnia. 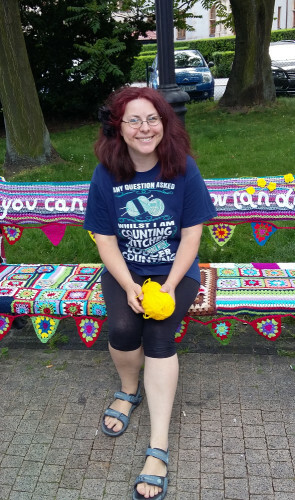 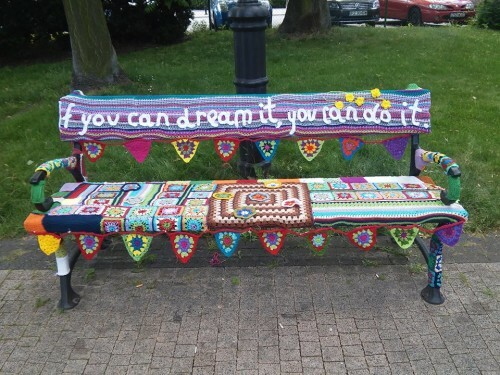 There were bicycles and children and bubbles, and my Mother’s cake, and juice in the bottles, there were granny squares blankets and meeting new and old friends, and there was joining elements for our lovely yarnbombed park bench. 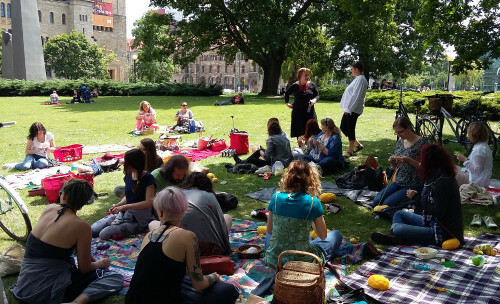 And there was great time, you know?